The popular Benevilla “Education Event Series” continues Tuesday, November 13, 2018 with an elder law seminar and estate planning strategies seminar. These FREE workshops provide resources and practical solutions to address senior life changes. Each workshop is led by carefully selected industry experts who provides guidance and answers to your questions. The November elder law seminar, “Everything on Elder Law and How to Prepare Today” will be presented by Lora Johnson of Johnson & Associates. Join us for an enlightening and entertaining discussion where our expert partner provides advice and direction on smart estate planning strategies covering wills, health care planning, guardianship, long term care arrangements and more. This free educational workshop will be held from 1:30PM to 3:00PM in the Bovard conference room on the Benevilla main campus located in the Hellen and John M. Jacobs Independence Plaza at 16752 N. Greasewood Street in Surprise. Because of the popularity of these events, a second workshop presentation on the same topic will be held Tuesday, November 27th again from 1:30PM to 3:00PM. Lora G. Johnson was raised in Phoenix. She attended Arizona State University and received her Bachelor of Arts in Psychology and graduated from the Barrett Honors College. She also earned her Juris Doctorate from ASU. 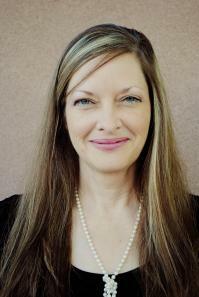 She focuses in the areas of estate planning, small business planning, elder law, and Medicaid/long term care planning. Mrs. Johnson has been practicing elder law since 2000 and opened her own practice in 2006. She enjoys doing community service with various local women’s groups, serves on the Regional Leadership Counsel for the Alzheimer’s Association and serves on the Board of Directors of the National Academy of Elder Law Attorneys. Space is limited and reservations are requested. Please call Benevilla at 623-584-4999 to reserve your spot. Light refreshments will be available.